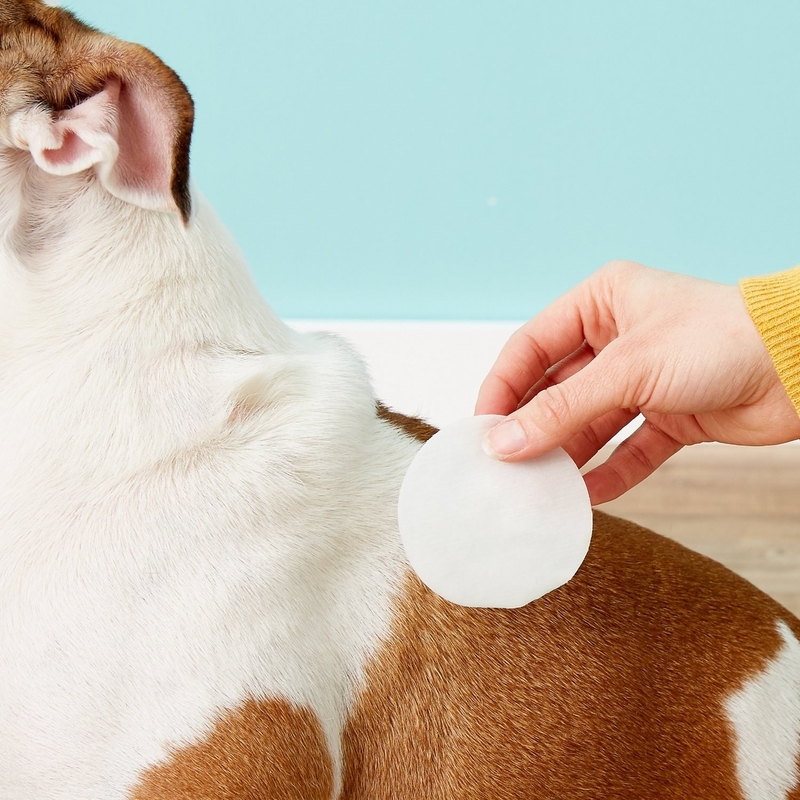 If you have a cat or dog with skin issues, these pet-parent-approved Douxo pads might finally give them some much-needed relief. Just like us lowly humans, our cats and dogs — the kings and queens of our world — can suffer from itchy, inflamed skin. And there is nothing worse than knowing your poor pet is uncomfortable but not being able to figure out how to relieve their issues. 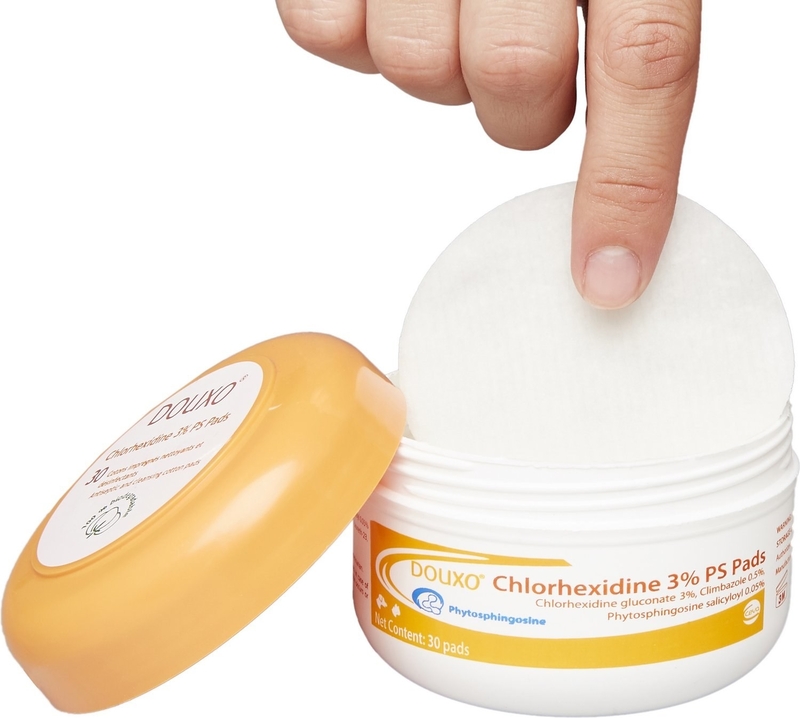 Well, concerned pet parents of the world, I'd like to introduce you to Douxo pads — fast-acting chlorhexidine wipes that can be used for antiseptic cleaning and relief of irritated or inflamed areas on your pet's skin. I absolutely swear by these for my allergy-prone dog, and it turns out hundreds of others do too! Note: Please first consult your veterinarian if your furry little buddy is dealing with any sort of skin issues or regular flare-ups. My vet actually recommended these wipes when I realized my dog had allergies that manifested in itchy skin, which is how I initially learned about them — and they have been a true game-changer. Any time I notice my pup licking his paws until they're red and raw, or he's scratching away at his face or ears, I wipe him down with one of these and it seems to soothe him instantly and the licking and scratching stops immediately. People also say its a godsend for treating their wrinkly dogs' irritated skin folds. Random rashes? No match for this miraculous stuff. 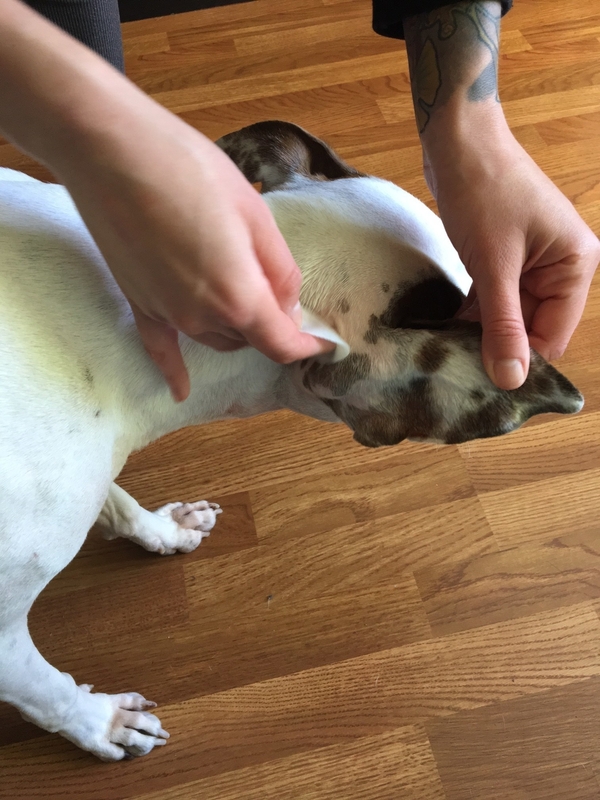 "I bought this stuff because my 10-month-old English bulldog mix had some crazy rash on her belly. I put this on twice. Within a few days the rash is going away. She is also itching much less." —Haley P.
Allergies? Your pup doesn't know her. "My chocolate Lab mix, who we adopted from a local shelter a year ago, has massive skin issues. 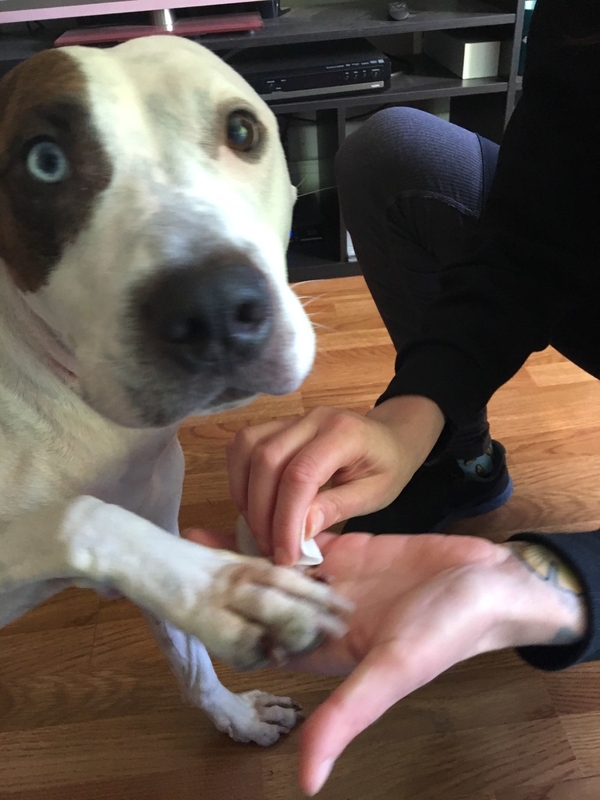 It was easy for us to see why he'd been in and out of pounds after a few vet visits that ran us $300-400 in pills and medications in order to try and treat his issues. 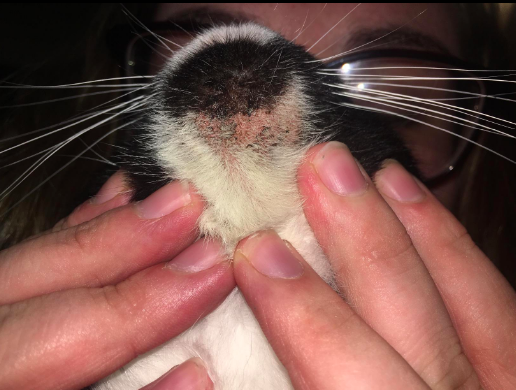 We determined that he was having allergy and skin microbe issues and treatments were less than effective. Unwilling to subject him to constant medications (including antibiotics and steroids to control his issues every three months) and totally unwilling to give up on our new boy, we went looking for an effective way to treat his issues. Currently we use the Douxo shampoo ) once a week after his Sunday morning at the dog park, the Douxo spray mid-week as a *top-up* for his treatment and on off days, the days he gets neither the shampoo or spray, any problem areas are treated with the wipes. 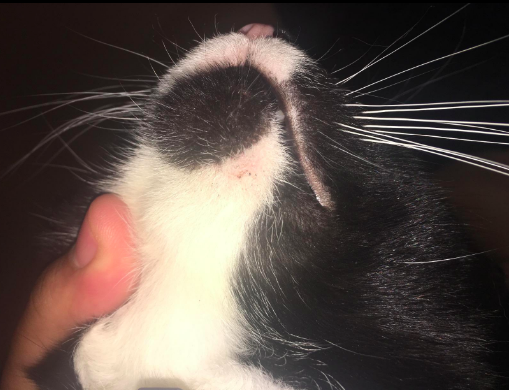 So far our treatments have not only cured any outbreaks quickly (within a week of a scab forming the area is healed), they have also reduced his outbreaks significantly. Currently he's been on this treatment plan of ours for a month and I can say with all honesty that for the first time since we adopted him he has NO current skin issues. Some reviewers have also recommended the Douxo spray for longer-haired pets in conjunction to the wipes. TL;DR? This stuff WORKS. Get a 30-count pack from Amazon for $10.99 and get ready for one happy furball!